Why is Heinz Called Heinz? Well, whether you say toe-may-toe or toe-mah-toe, let’s all just admit that Heinz Ketchup is the perfect sauce for French fries, tater tots, hamburgers, hot dogs, and so much more. At least one person in my family believes Heinz Ketchup should be one of the five major food groups. By the time Henry J. Heinz was eight years old, he was spending six hours a day working in his mom’s vegetable garden. By the time “HJ” was 12, his mom had gifted him three acres of land for his vegetable business. Being the young capitalist that he was, he bottled his mom’s horseradish sauce and began selling it along with his produce from his horse-drawn wagon. His parents taught him that purity and service to others was above all else, so from the very beginning HJ was obsessed with pure food. In 1869, HJ went into business with his friend to form Heinz, Noble, & Co. and they began selling processed condiments. Tragedy struck just six years later when Noble made some very bad financial decisions. The losses to HJ and his family were devastating, but, just two months after the bankruptcy was completed, he came back as F & J Heinz. 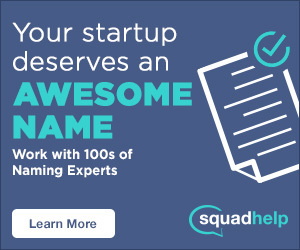 HJ was obsessively focused on his dream and swore he would never trust anyone else as a business partner again. Business flourished with hard work, strong business acumen, and that obsessive focus for which HJ was known. During the latter part of the 1800s, HJ went to England with his family and tasted a spicy, fish-based sauce called catsup. He wondered what it would be like if tomatoes replaced the fish. When he came home, he began testing and experimenting until he found the perfect sauce. Heinz Ketchup became the linchpin of the growing business. 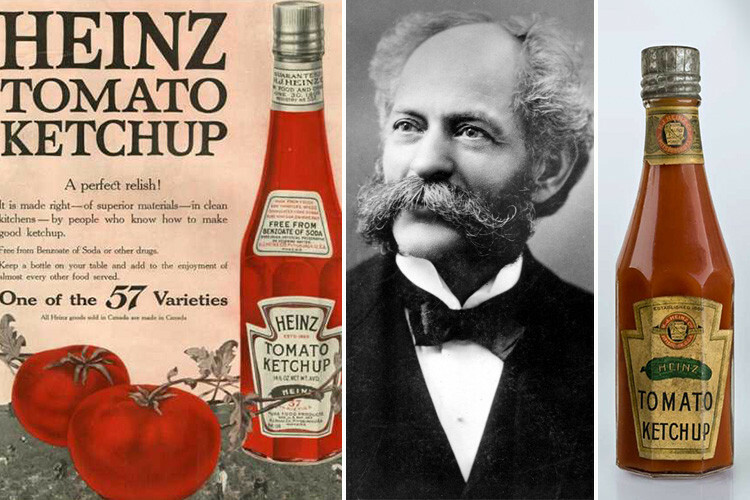 By 1885, Heinz had conquered the sauces and condiments market in the United States. Why is it Called Heinz? Heinz, proud of his family name and what Heinz stood for, stated, “Quality is to a product what character is to a man.” The sole supporter of the Pure Food and Drug Act of 1906, Heinz bottled all of their condiments in clear glass containers to showcase the purity of the Heinz product. The iconic octagonal glass bottle appeared in 1890 with the famous gherkin pickle and “57” on the label. There have been many theories about the “57 Varieties” in “Heinz 57.” The truth is that Heinz was riding a train when he saw an advertisement that said “21 Styles of Shoes.” He began pondering that idea in relationship to his business and came up with the most iconic slogan in advertising (though Heinz was selling over 60 products at the time). One of their well known secrets also has to do with the 57. When you are trying to get the ketchup out of the glass bottle, tap the “57” on the bottleneck. The ketchup will come out at a speed no greater than .028 mph (at the plant, if it comes out faster than this that batch of ketchup is rejected). The gherkin pickle, that nearly collapsed the second story of the Agricultural Hall in 1893, was replaced in 2009 with a ripe tomato and the slogan “Grown Not Made.” To this day, Heinz focuses on the purity and quality of their product by never using any GMO ingredients. Each year they test over 300 tomato varieties and most Heinz growers have been growing with Heinz for more than one generation.